Using unexpected materials takes our lighting from functional to unforgettable. We design our modern lamps with a mix of innovative and traditional materials for a distinctive look. We also pay attention to efficiency. All of the lamps shown here include LED bulbs, which last longer and are more energy efficient than traditional incandescent bulbs. Plus, we chose bulbs that provide warm, white light with none of the harshness of earlier LED options. Take a look at some of the newest additions to our lighting collection, which offer a wide range of designs from airy to industrial. Unconventional materials, like concrete, add interest to everyday objects. 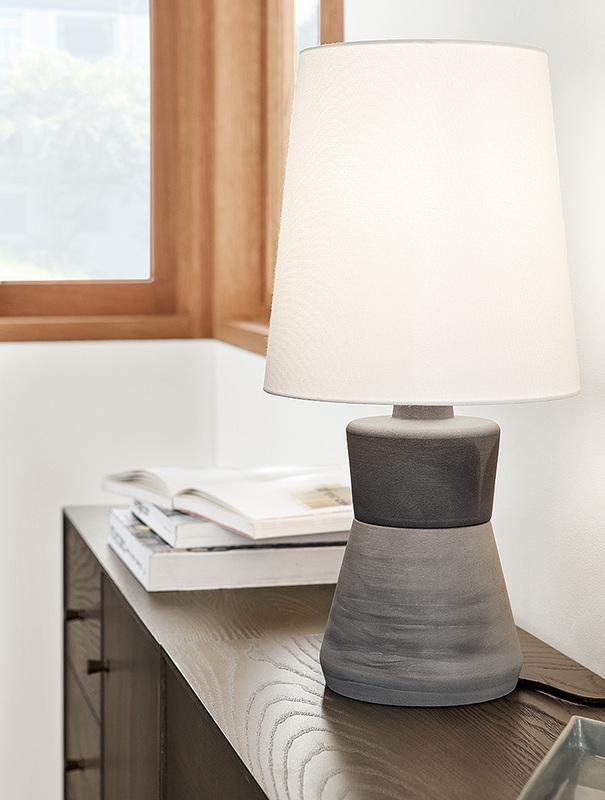 By pairing a stout, two-tone base with an elegantly shaped linen shade, this lamp features a unique balance of hard and soft, modern and timeless. 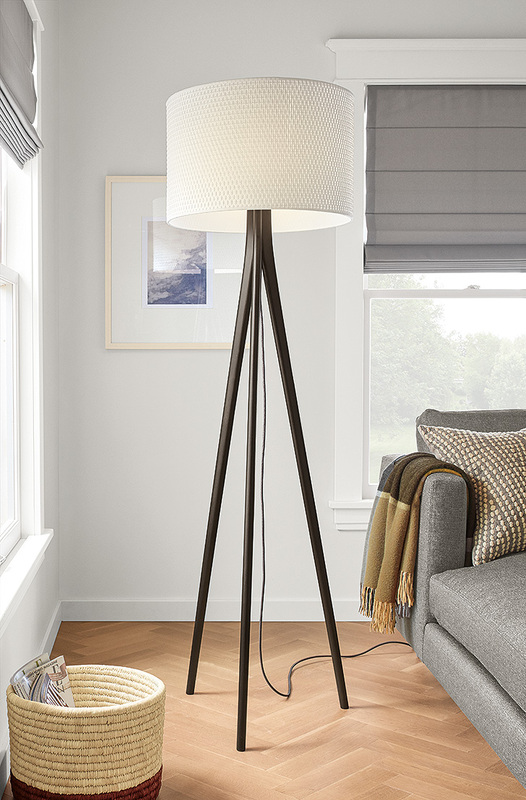 A classic form with a modern mix of materials, our Lane floor lamp with paper cord shade adds architectural interest to any room. The textured shade is woven in Iowa and casts subtle patterns onto the wall when the light is turned on. 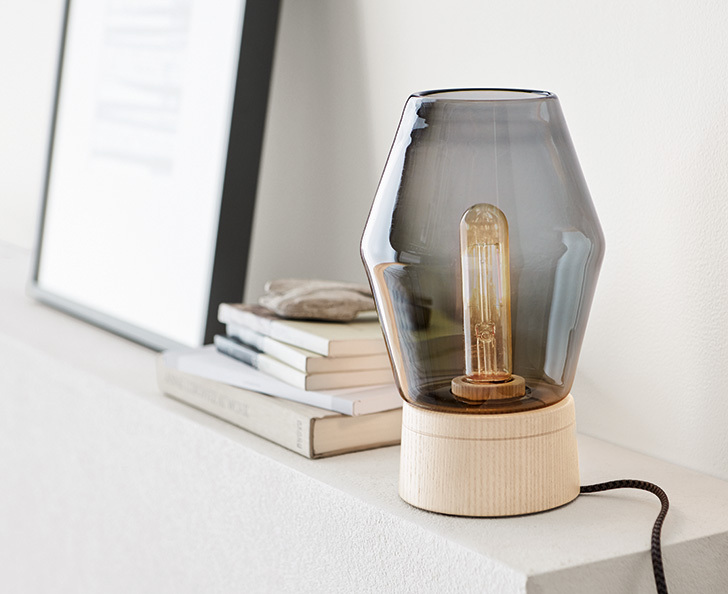 This petite table lamp brings together the expertise of two U.S. workshops. Glassblowers at Hennepin Made craft the glass shades and each one sits atop a Vermont-built solid ash base and includes a vintage-style LED bulb. The care and high standards of these artisans is evident in every lamp. We designed this minimalist lamp with a distinctive shape and personality. To create the fluid angles for the base, an acrylic panel is carefully formed at an Iowa workshop. A fabric-covered cord finishes the modern look. Ready to light your space? 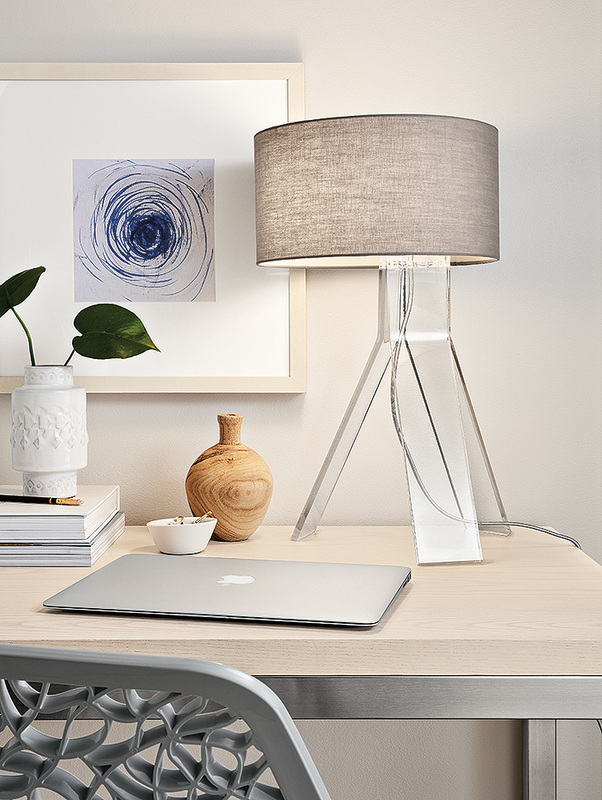 See how we design our lamps or learn how to layer your lighting.